Seychelles' minimalist leather booties deliver maximum versatility in a sleek, low-slung profile. 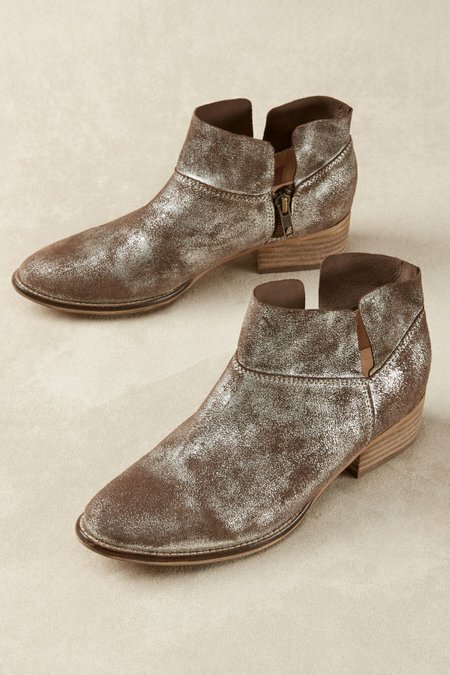 Whether you wear the foil-print or cool color-blocked design, these everyday booties work with any look. Expertly crafted with an exposed inside zipper, 1-1/2" stacked wood heel, man-made sole, almond toe and comfy padded footbed, they will span the seasons.